The municipality of Tysnes is a group of islands south of Bergen. Tysnes has for over a hundred years been one of the most popular vacation spots in the southwest of Norway. This can be contributed to its wonderful nature and clean environment. You can find traces from ancient places in Uggdal, Onarheim and Årbakka. In Uggdalsdalen remnants of an ancient thoroughfare are shown in stone-paved roads and stepping stones over the river. There are also traces of iron-age settlement. The islands of Tysnes were already from ancient times visited from all the region, by people who gathered to religious ceremonies and kept the status of a cult-place. Along the coastline, travelers by boat will find many well hidden places behind inlets and islands with beaches and good fishing places. Varied vegetation, hilly terrain, mountains, water, woods and long seashores give a foundation for rich animal and bird life. 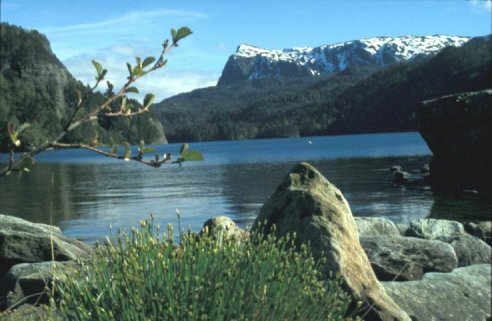 The nature is characterized by shiny slopes of naked rock and fields of heather in the west to exuberant forests in the east, lowland and its shores which includes nice and sheltered swimming places, to the mountains with great ski- and hiking grounds and panorama view to the mountains around Bergen. One can enjoy mountain plateaus and altitudes that exceed 750 m.a.o. One can also enjoy the sight of the glacier "Folgefonna" in the east, and all the beautiful islands out in the great ocean to the south and west. The main connection south is the ferry from Hodnanes on to Jektevik on the island of Stord. North the connection goes by ferry from Våge to Halhjem and Bergen. The Tysnes Island is connected to the mainland on the east side by a bridge across Lukksund, and one can continue on to Bergen or Hardanger on this road. Tysnes is a major tourist area with 1.200 vacation homes. Tysnes has traditionally been a farm-, fishing-, and seafaring municipality. Today farming is still relatively strong, but the majority of the sailors have started working in the North Sea (oil). The fish farming industry has increased sharply on Tysnes since the mid-eighties.